Art Not Shame and Conestoga College created a wellness week for their students. 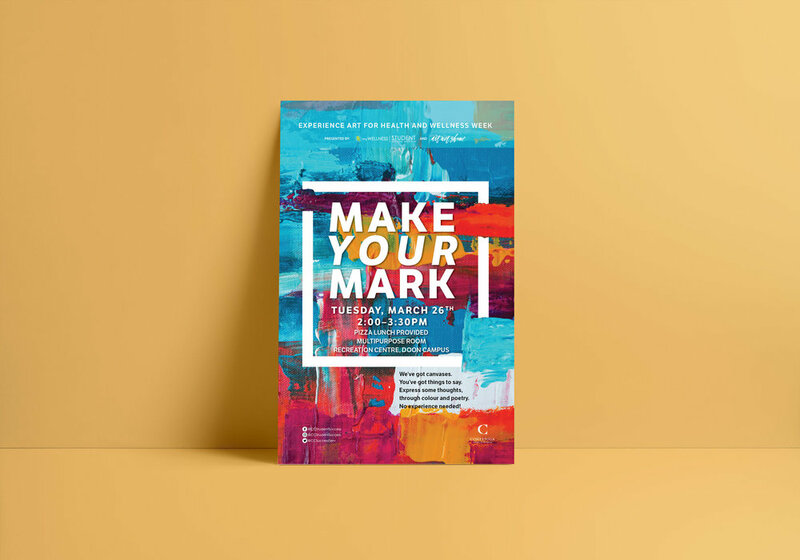 One of the programs was “Make Your Mark” which was just that. Making a mark on a blank canvas, and expressing thoughts through colour and poetry.